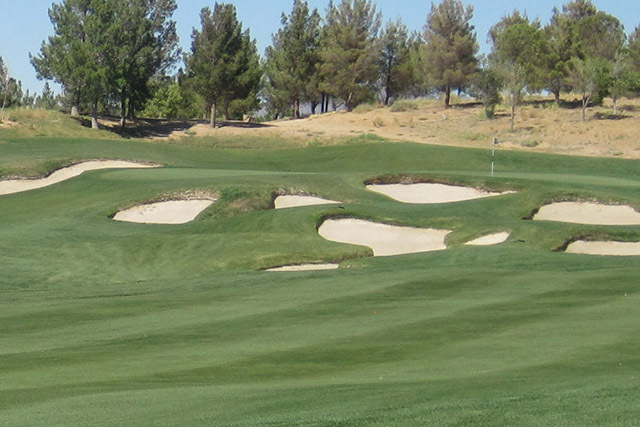 If you want to stop by a golf club that features not one, but two exceptional courses then Primm Valley Golf Club is the place to go. 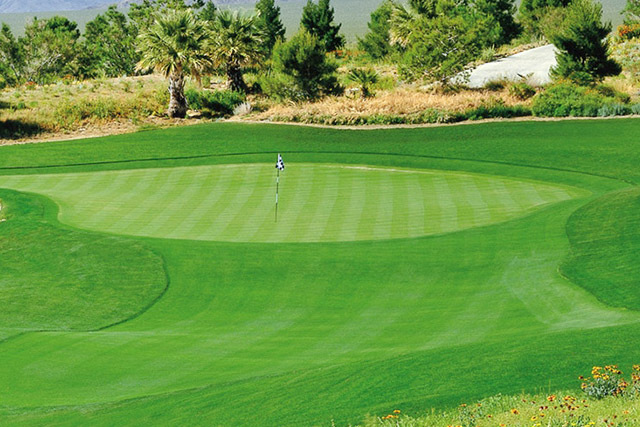 The Primm Valley Golf Club was developed in 1998 by a genius in the golfing architect world, Tom Fazio. The high-end, golf club is paradise to a wide array of golfers with varying skill levels. 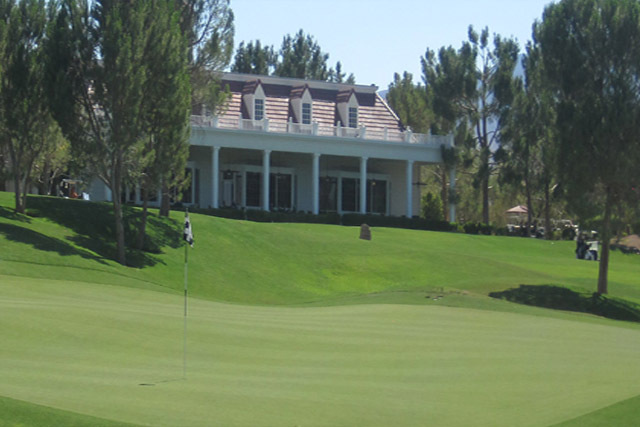 Primm Valley Golf Club is ideal for those who want to enjoy the sights while they play golf. 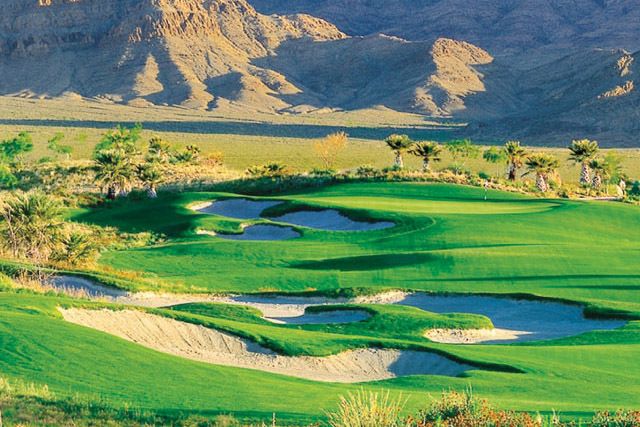 Offering scenic views of the desert, the two courses of the Primm Valley Golf Club, The Lakes Course and the Desert Course have been honored in Golf Magazine's Top 100 Resort Courses in the United States. The Desert Course reflects the desert setting, while the Lakes course has a tropical feel to it. The Desert course is 18-holes, and is a par-72 course, which spans 7, 132 yards in length. The Primm Valley Golf Club has a 22-acre driving range, a practice facility, and a breathtaking clubhouse with a restaurant, lounge and banquet facilities. Driving range, lounge, practice green, restaurant and banquet. A very interesting holes and amenities. It's definitely worth playing here.My favorite part was the lake course,even you are playing its kinda relaxing.